Bolivia has more indigenous peoples than any other country in the Americas. For travelers, Bolivia offers a diverse mix of multi-ethnic cultural experiences, magnificent natural landscapes, and extreme adventures. 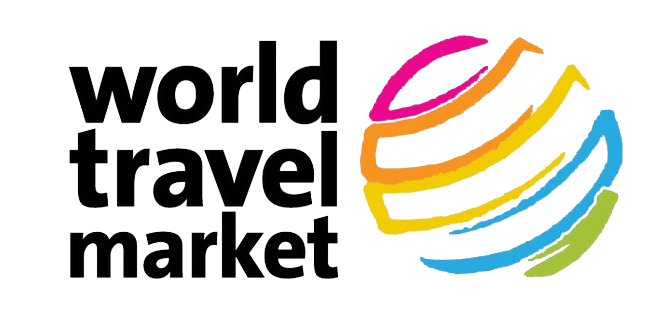 Still largely untouched by the effects of mass tourism (though Bolivia tours offer remarkable experiences), those who are lucky enough to visit come back raving about its authentic indigenous culture and spectacular natural scenary. 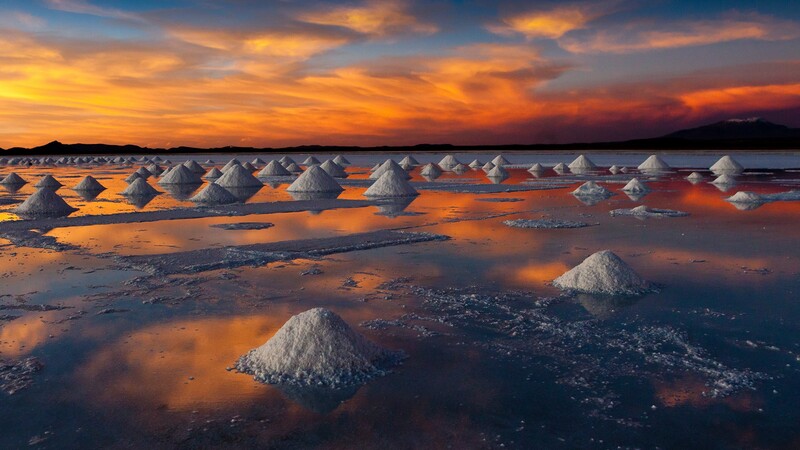 One of the flattest places in the world, the 4,000-square-mile salt flats were formed by a prehistoric lake. This desert landscape bright white salt, rock formations and cactus-strewn islands was born as the result of the drying up of a prehistoric lake. 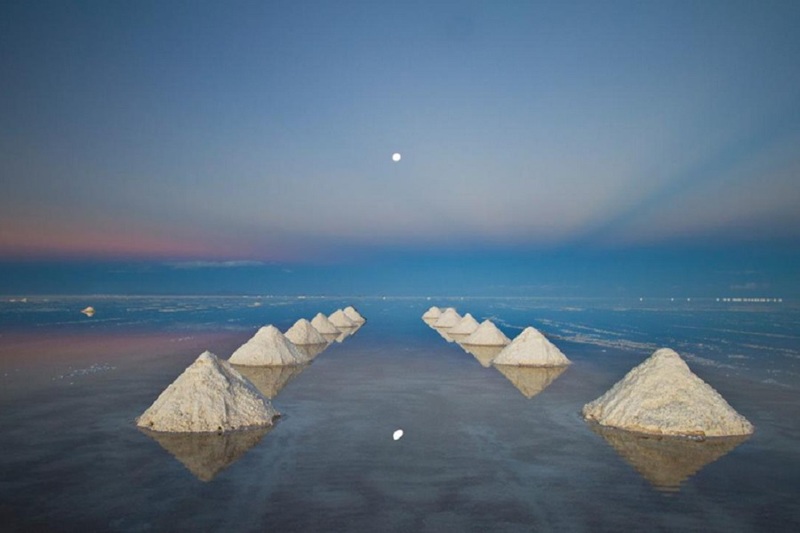 This is one of the world’s highest salt deserts (5000 meters above sea level)! 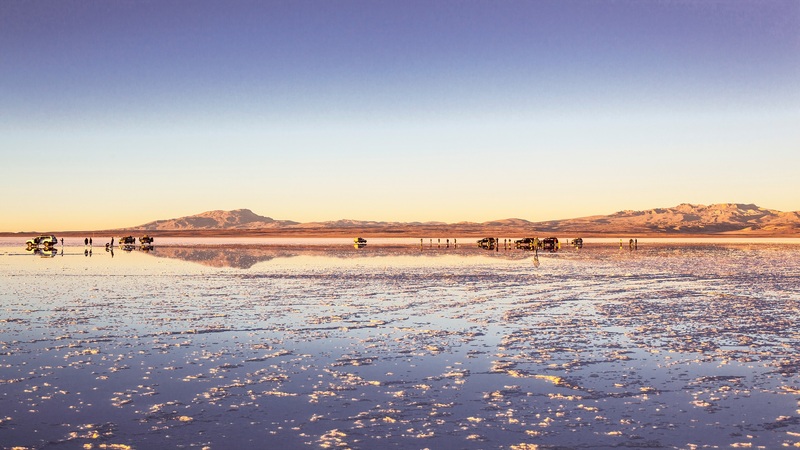 Visit this incredible desert in Bolivia and discover all the riches it holds. This landscape offers you two different views, from January to March, enjoy the rainy season to see the desert turn into a unique mirror of water. Isla del Sol is a 9.6 km long and 4.8 km long wide island and is considered a sacred place. It is said that this is where the God Viracocha created humanity after the great flood. 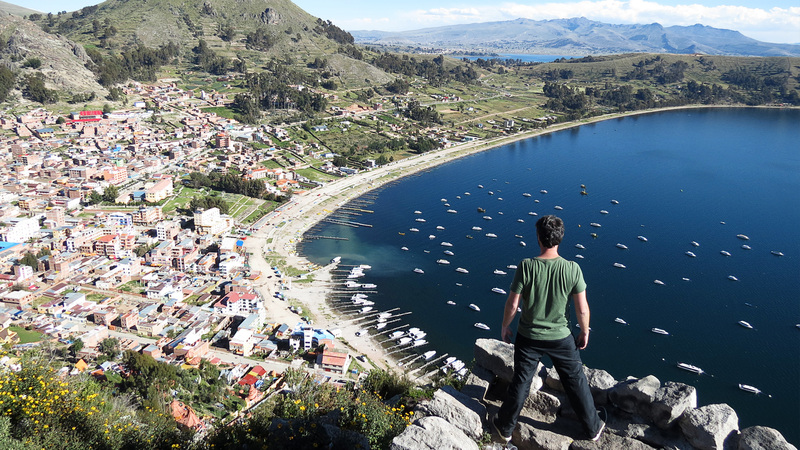 The island is located in the Lake Titicaca´s northern area, where you can embark on a catamaran from the small town of Copacabana and take a short trip and explore the Incan ruins. The island is divided into three communities: “Yumani” in the south, “Challa” which has a sandy white beach on the central east coast and “Challapampa” near the north end of the island. The southern part is most visited due to the archaeological ruins of the Pilko Kaina Temple and the Yumani pier. Located in the Andean National Wildlife Reserve Eduardo Avaroa, the Colorada Lagoon is part of the Bolivian plateau! This lagoon is specially recognized for its exceptional color. The color of the lagoon is mainly due to the red sediments and pigments of certain types of algae living there. 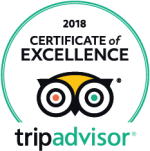 Visitors to this amazing place can admire pink James flamingos that are attract for the food. Located near La Paz and about fifteen kilometers south of Lake Titicaca, the archaeological site of Tiwanaku offers amazing experiences. 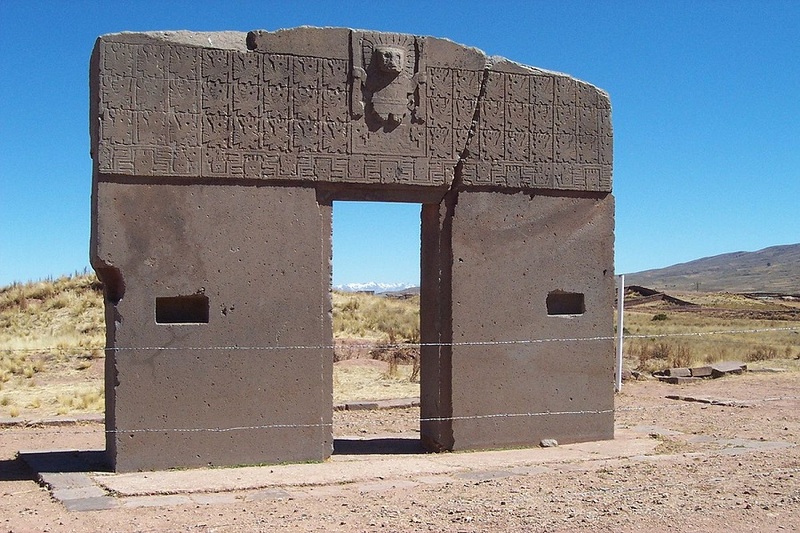 Considered the major site of the pre-Columbian Tiwanaku civilization, the site bears witness to the life of this civilization, gathering remnants of ancestral techniques such as irrigation, breeding, fishing and the construction of buildings and roads. The site represents a strong symbol in the history of civilizations. 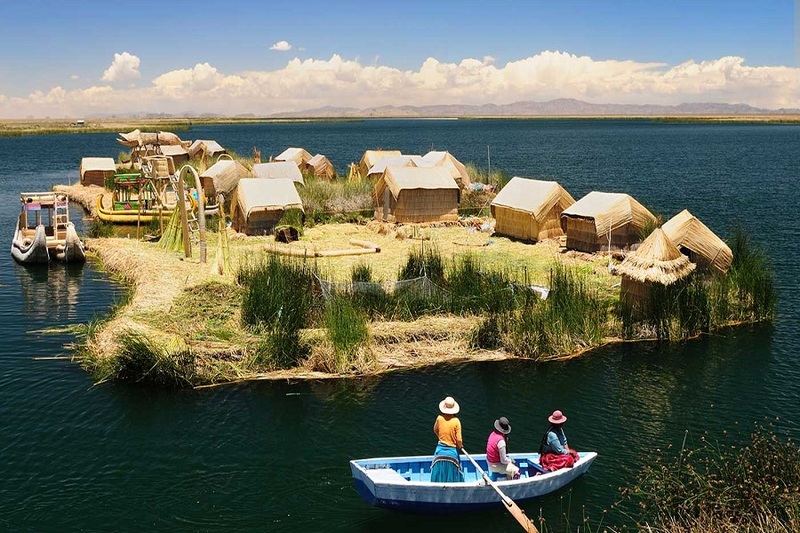 Located in west-central Bolivia 68 km (42 miles) southeast of Lake Titicaca, due to its altitude, the city of La Paz has an unusual subtropical highland climate, with rainy summers and dry winters. 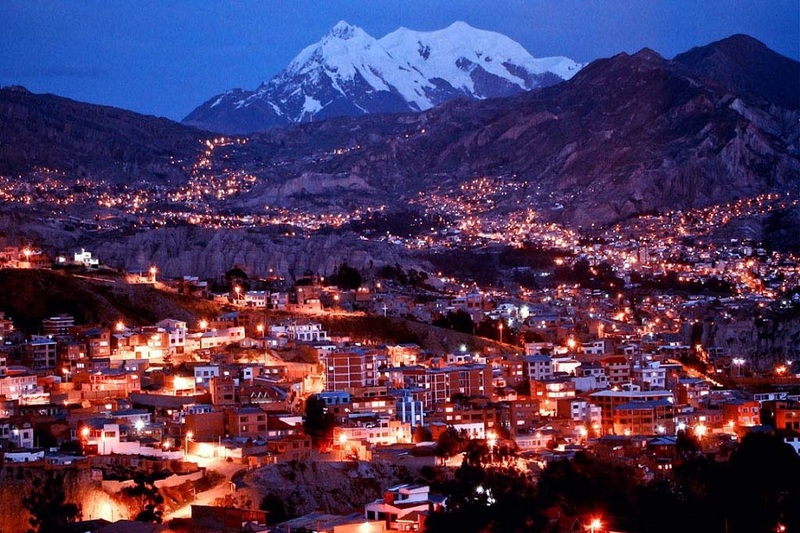 La Paz is considered the second capital of the country and the highest in the world (3650 mts). The Teleférico (cable car) has become one of the most important tourist attractions of the city. It is currently a network of 10 km of cable cars that operate between the city of La Paz and the Alto. Bordering Bolivia and Peru, Lake Titicaca is the largest lake in South America and is considered the highest navigable lake in the world at 3.812mts . Near the south-eastern shore of the lake lies Tiwanaku, ruins of an ancient city state that scholars believe was a precursor of the Inca Empire. 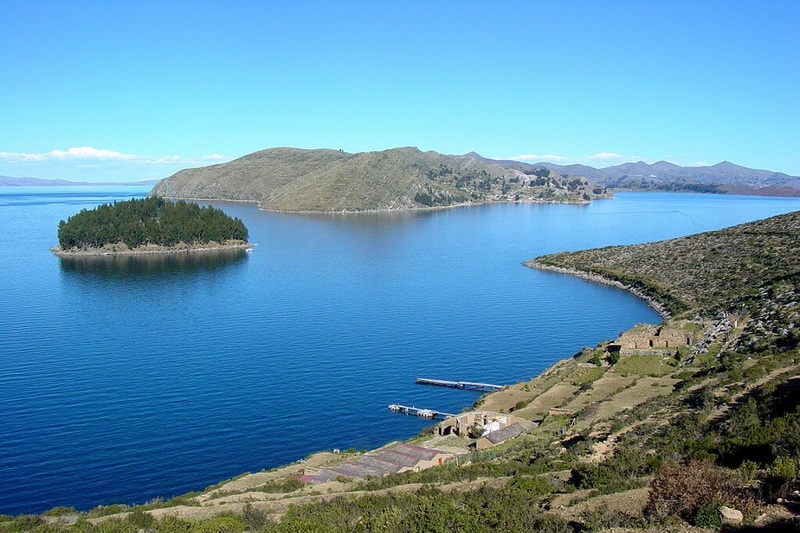 Lake Titicaca is a popular vacation destination. Today the region is a mix of crumbling cathedrals, desolate altiplano and checkerboard fields backed by rolling hills and high Andean peaks. Located between Andes and Amazon is the gateway to the Bolivian tropical jungle. Rurrenabaque, located in the north of the country offers some of the continent’s best jungle experiences. This small town lies on the Rio Beni banks in the Bolivian Amazon Basin. 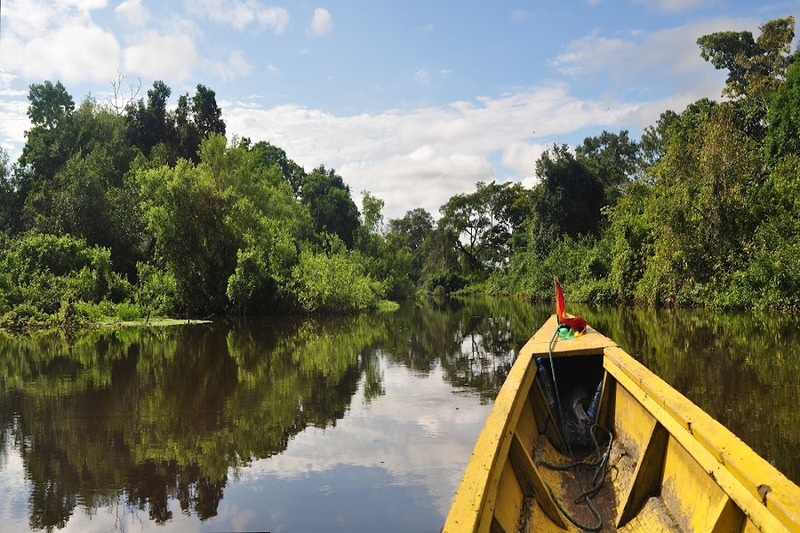 From here you can take tours towards the Madidi National Park and explore the jungle to observe caimans, pink dolphins, monkeys, snakes, spiders and numbers of tropical insects!